Playwise is a new and expanded version of the Game of Wisdom for ages 6 and up. Three versions of the game make it easy to adapt to the skill and number of players. This game gives all kids playing an important roll all at the same time, making every child engaged throughout playing. 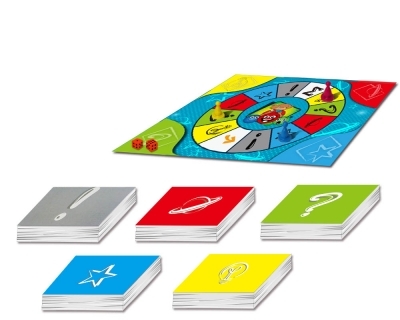 This game sparks conversation, thinking, and ideas among kids as they play. This would be a great game at after school care, or even a family game to play at home. This is a really fun board game for young kids. I like that there a 3 different versions for kids to switch up and play, they won't ever get board. The box/packaging is colorful and inviting.